SINGAPORE – December 11, 2018 – Synology Inc. today launched the RackStation RS1619xs+, a flagship 1U 4-bay rackmount NAS designed to deal with IO-intensive tasks for growing businesses, and the DiskStation DS1819+, an 8-bay desktop NAS combining outstanding performance with great expandability. The RS1619xs+ and DS1819+ run on DiskStation Manager, the advanced and intuitive operating system for Synology NAS devices, with various applications offered to enhance work productivity. Synology has received numerous media accolades, topping the mid-range NAS category in TechTarget’s storage solution survey and winning PC Mag Readers’ Choice eight years in a row. 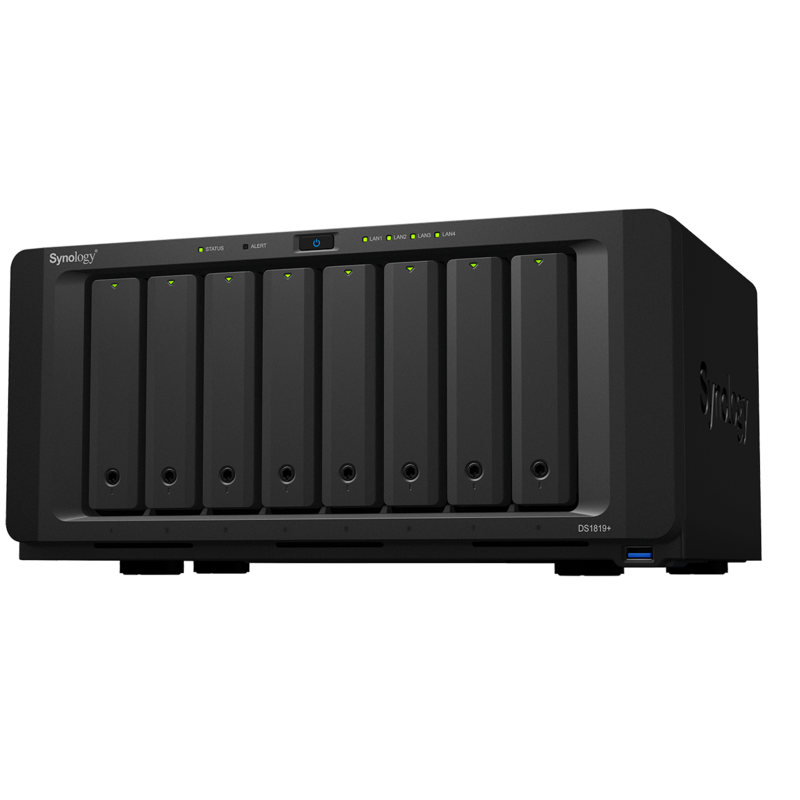 Synology creates network attached storage, IP surveillance solutions, and network equipment that transform the way users manage data, conduct surveillance, and manage networks in the cloud era. By taking full advantage of the latest technologies, Synology aims to help users centralize data storage and backup, share files on-the-go, implement professional surveillance solutions, and manage network in reliable and affordable ways. Synology is committed to delivering products with forward-thinking features and the best in class customer services.